Between April 15, 2019 and August 7, 2019 you have the opportunity to spread the word that you are nominated for a Black Unicorn Award and will be attending Black Hat USA 2019. The Cyber Defense Media Group has a suite of marketing platforms to help you reach your target audience (CEOs, CFOs, CISOs, CSOs, CIOs, IT Executives, InfoSec Buyers, IT and Cyber Security Professionals, SOC and Data Center Staff and Network Administrators). Our leading platform is CyberDefenseMagazine.com with over 140k unique visitors each month and growing, daily. We have other growing media outlets including CyberDefenseTV.com and CyberDefenseRadio.com. Here’s an example of our stats, right now: https://essentials.news/en/future-of-hacking in the #1 Position! We have over 7 years of searchable InfoSec content (more than 7k pages), with 1.4m annual eMagazine and print edition readers. We have leading Facebook, Twitter and LinkedIn social media accounts including a Top 1% InfoSec, Top 3% Global LinkedIn account. We have access to InfoSec buyers across the globe. 60% of our readers and subscribers are in the USA and Canada, 35% are in the UK and EU and 5% are spread across Asia and the Middle East. We also have a GDPR compliant double-opt-in email database of over 35,000 InfoSec and IT executives with more than 50% being CISOs. THE BLACK UNICORN ANNUAL REPORT FOR 2019 BOOK COMES OUT ON AUGUST 7, 2019. IT WILL INCLUDE AN OPENING LETTER, THE JUDGES AND THEIR BIOS, FINALISTS AND WINNERS WITH COMPANY DETAILS AND CONTACT INFORMATION…. If you are raising a round or are looking for a round of financing and want to disclose that information, please do so in your nomination. 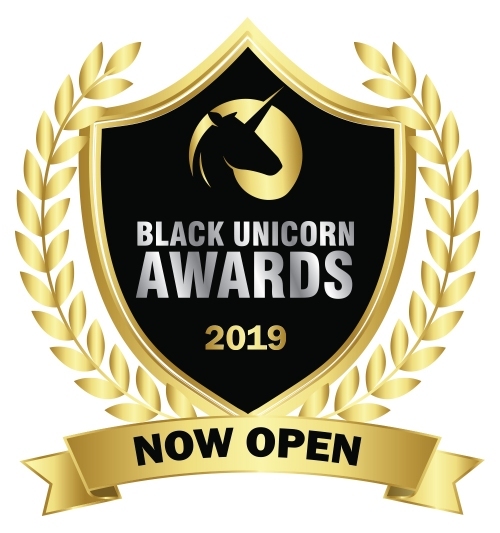 If you win, we will include that information when we send out the Black Unicorn Report Annual Report for 2019 to thousands of family trusts, venture capitalists and investment bankers. THIS IS FIRST COME FIRST SERVE: IF YOU NEED HELP PURCHASING AN OPTION ABOVE, PLEASE EMAIL MARKETING@CYBERDEFENSEMAGAZINE.COM WITH THE SUBJECT LINE: “PURCHASE REQUEST: BLACK UNICORN AWARDS FOR 2019” AND LET US KNOW WHICH ONE YOU WOULD LIKE TO PURCHASE. © 2019 Cyber Defense Awards. All Rights Reserved.